Its low noise and high output circuit that ensures the signal to noise ratio above 95dB and low distortion rate under 0.5% assures high performance. Being connected with the fire detector, it ensures the unmanned activation of siren and emergency escape alarm in case of fire. 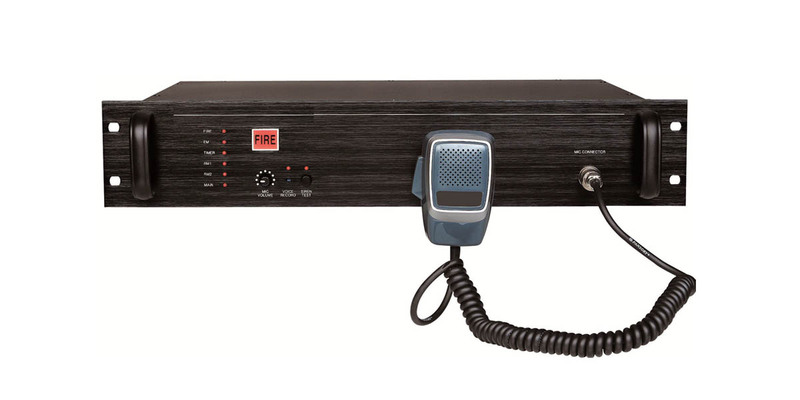 With its built-in voice file, it ensures the activation of emergency escape alarm, and is capable of recording the ‘escape alarm broad casting’ with its built-in key microphone(16 seconds). The emergency escape alarm sound can be activated manually based on the interlocking operation system in case of fire.